It’s well known that getting enough sleep is linked to benefitting your overall health. From improving your memory to aiding weight loss and even boosting your immune system, there are plenty of positives to getting your full eight hours. But could your mattress be hindering your chances of a peaceful slumber and better health? The mattress you sleep on can greatly impact your ability to get a good night’s sleep, yet its importance is often overlooked. 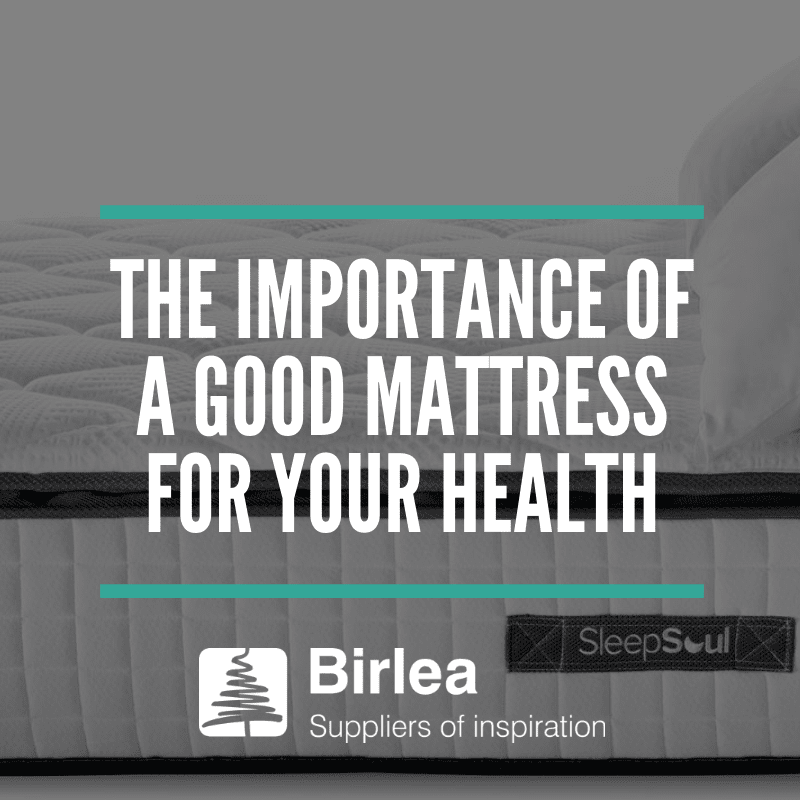 Leading furniture supplier Birlea have highlighted some of the key health benefits of a top-quality mattress. Your mattress should support each part of your body equally. Without this even weight distribution, your lower back won’t be sufficiently supported, meaning your spine won’t be in a neutral position. Improper spinal alignment can cause a whole host of problems over time, including chronic pain. If you’re not getting the proper level of support, it’s likely because your mattress is too soft. Spring mattresses can cause the weight to rest too heavily on your shoulders and hips, resulting in muscle tension in your unsupported lumbar region. To prevent this, choose a mattress that supports the natural curve of your spine. If you’re all too familiar with back or joint pain, then there’s a good chance your mattress is the culprit. Correct alignment is essential for pain-free sleep – your mattress should hold your spine in a straight line throughout the night. It should also relieve pressure points and support your posture, which will help prevent pain. Snoring occurs when your airway is partially obstructed during sleep. It’s often associated with sleeping on your back, but your mattress could also be somewhat responsible. If it sags too much when you’re lying on it, your head and neck won’t be adequately supported – this causes your throat to constrict, and the snoring to start. If you want a snore-free slumber, choose a medium-firm mattress. We all know the feeling of an interrupted night’s sleep. Regular tossing and turning greatly affects your quality of sleep, particularly if sleeping next to a partner. This is because the action of rolling over creates ‘motion waves’ which are transferred through your mattress. A firm, good quality mattress will absorb these waves, so even if your partner turns over or gets out of bed, you’re less likely to be disturbed. An increase in sleep quality can result in reduced stress levels. When you’re sleep deficient, your body produces more stress hormones, which in turn increases your blood pressure – not ideal for feeling calm. Regular, deep sleep (encouraged by a good mattress) helps to keep your blood pressure low and your mood relaxed. Dust mites like to set up home in mattresses – they’re unavoidable, but they’re also the leading cause of indoor allergies. A mattress that has a denser structure helps to discourage these mites; there’s simply not as much room for them to live. This means you may see a reduction in hay fever-like symptoms – fewer sneezes and more snoozing! A good quality mattress is about much more than comfort (although that’s an undeniable bonus). With the right mattress, you’re likely to see a wealth of benefits to your overall health. We have a wide range of mattresses available from traditional to high end mattress in a box. View the full range here.